The Game Developers Conference 2019 is about to begin in San Francisco, California. And Google has left everyone dying of curiosity. The company is making a teaser big something that may just be the one of the service streaming of games that you want to launch soon. And that includes up to something involving hardware- maybe a console? The logo is a kind of stylized “S” that also resembles the shape of a WiFi signal. All this raised a lot of speculation, including the name Google Stream came into consideration. At GDC, you can see a Google assembly already on the street, facing the conference location. In addition to the new logo, you can view information about the history of video game games. 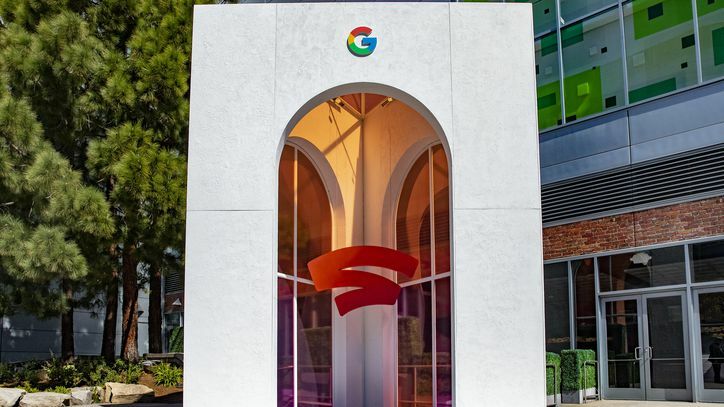 Inside the pavilion, a series of logos of this are mounted in the area reserved for Google and several televisions are ready to transmit information on this great revelation.